“Custom Goods” is a privately-held and operated 3rd Party Logistics (3PL) service provider offering a broad spectrum of logistics and warehousing services in Los Angeles. They operate from three strategically important facilities within the southern California basin. Custom Goods (CG) airfreight shipments are facilitated at their LAX location while the warehouses, Carson and the headquarters are located five miles from the ports. They offer both managed FTZ and drayage services. While focusing on their high volumes of imported goods from around the world, Custom Goods has uniquely positioned itself in becoming one of the leading warehousing service providers in the Los Angeles region. Their strategically placed locations within Los Angeles are ideal for customers looking for ways and means to quickly distribute their imported cargo. The majority of our nation’s imports (nearly 50%) travel through the local ports of Los Angeles and Long Beach. Customer services have been the cornerstone of the historic growth of CG spread over the past fifty years. The company is headed by Tony Gregory as its President and CEO. The company is striving to maintain its motto of “Exceeding Expectations Together” by working with their customers to find unique and creative business solutions that would cater to the customer. The company will always explore means of providing a more efficient and cost effective business model to its valuable client-base. The company pride themselves on understanding their customer’s culture, ability to adapt and grow according to the client’s business trend and partnership reputation. The company is operating on a 24/7/365 roster to serve their customers even better. 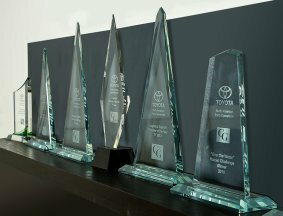 In fact, Custom Goods (CG) has won over 6 Kaizen Awards and the Toyota Logistics Support Provider of the Year (2012) for their creative and dedicated customer services. Custom Goods has been working with leading freight forwarding services, major retailers in the electronics, automotive and appliance manufacturers from both the Inland Empire and Carson South Bay. CG’s ability to offer services to their primary markets and points beyond, makes them a leader in warehousing solutions in the region. CG has 1,200,000+ sq. ft. of warehousing space to serve their customers better. We offer US Customs Bonded facilities with FTZ services to all our valuable clients in the region. Some of the main warehousing facilities available with CG are: Trans-Loading, Pallet Exchange, Pick and Pack, Packaging, Cross-Docking, Labeling, Local Trucking and Drayage, Shrink Wrapping, Quality Control, Lot Number Control, Just-In-Time Control, Containerization, Export & Import Handling, and Web-Based Inventory Control etc. 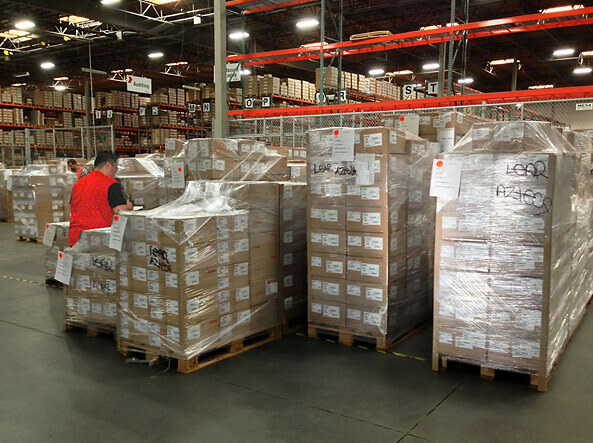 CG uses specialist software in tracking each package around its warehousing complex. Each and every package is bar-coded so that it helps in tracking in and out as well as in-house tracking. The warehouse uses the latest technology in all their warehousing operations. If you require warehousing facilities within the Los Angeles region, look no further than Custom Goods. Custom Goods is one of the best Third Party Logistics (3PL) warehousing services in the Los Angeles region. Call them now to handle your next shipment.